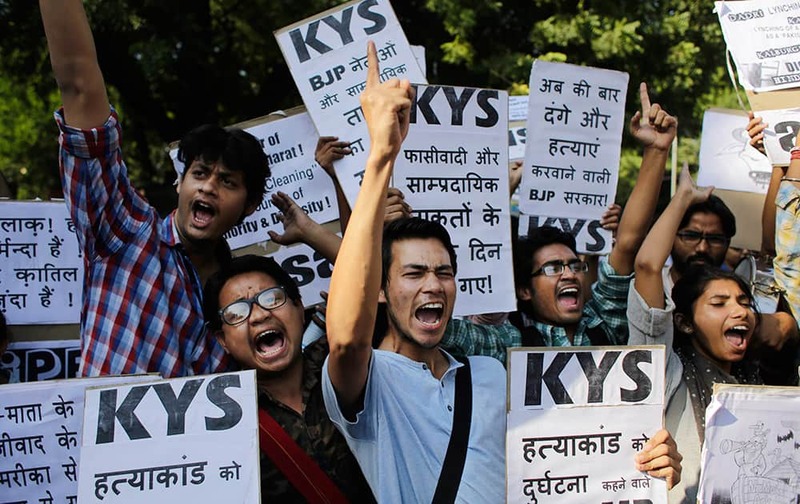 Students unions carry placards denouncing the lynching of a 52-year-old Muslim farmer Mohammad Akhlaq as they shout slogans during a protest in New Delhi. 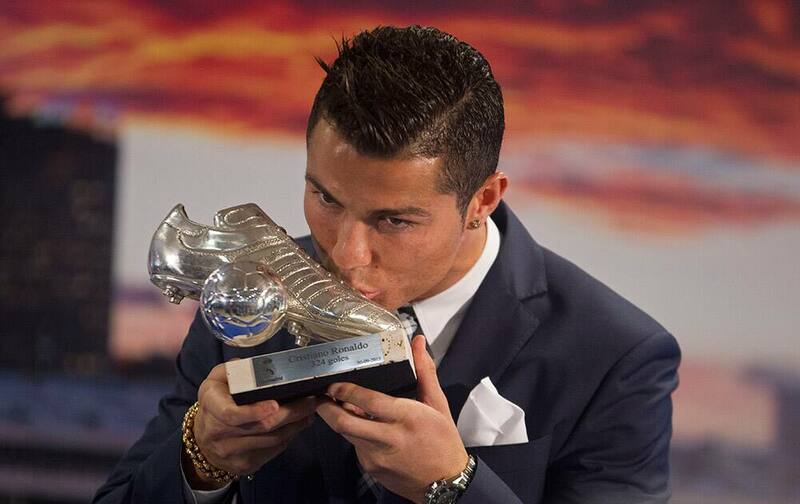 Real Madrid’s striker Cristiano Ronaldo kisses a silver boot award for scoring the most goals for the club during a ceremony at the Santiago Bernabeu stadium in Madrid, Spain. 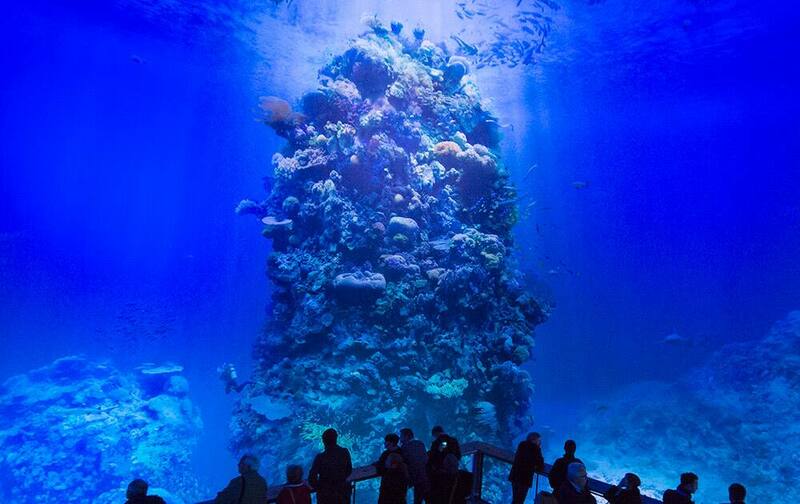 Visitors stand in front of the monumental panoramic artwork 'Great Barrier Reef', which is printed on cloth widths, of artist Yadegar Asisi during a press preview at the Asisi Panometer in Leipzig, central Germany. 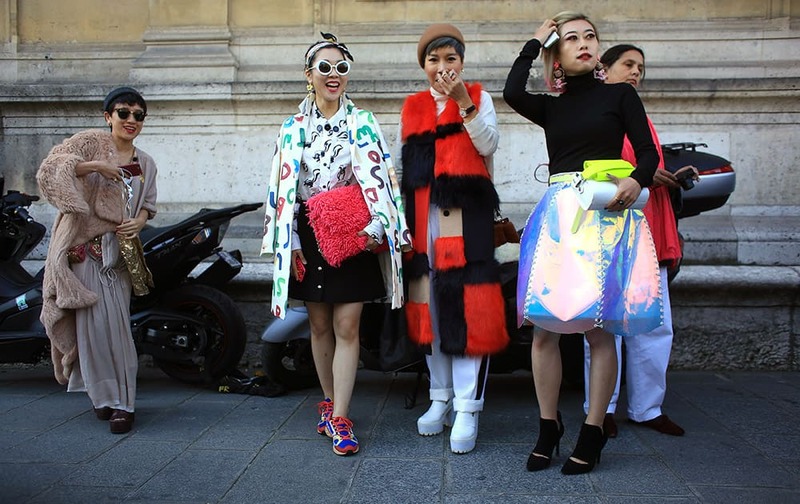 Fashion lovers pose for a picture outside Chalayan' Spring-Summer 2016 ready-to-wear fashion collection presented during the Paris Fashion Week, in Paris. 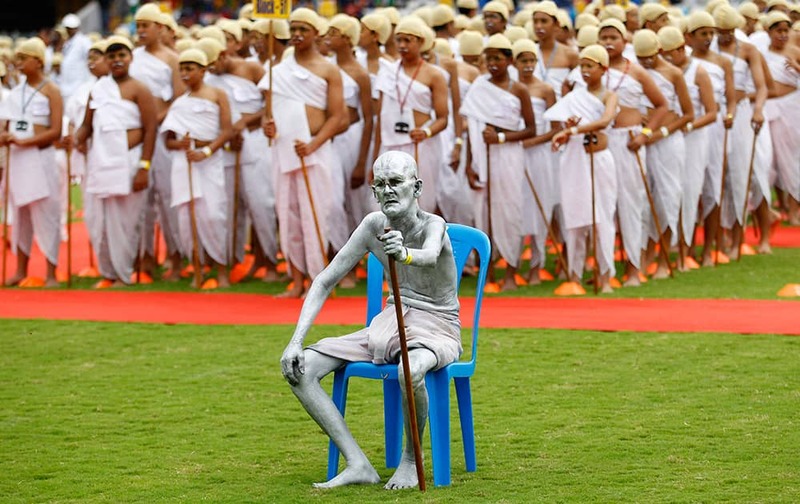 Shri Gopal, a Gandhian or follower of Gandhi's philosophy, sits dressed as India’s independence leader Mahatma Gandhi, as he is joined by school children also dressed as Gandhi in an attempt to create a Guinness record, during celebrations to mark Gandhi’s birth anniversary in Bangalore. 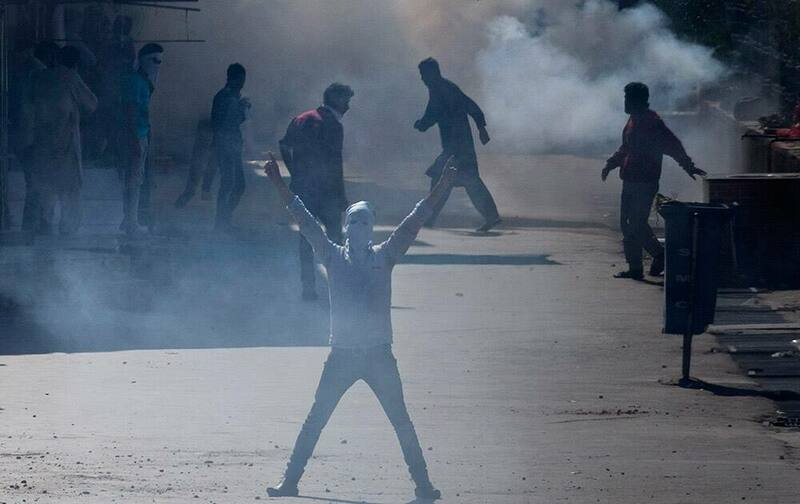 A Kashmiri protesting against the ban on the sale of beef across the state. 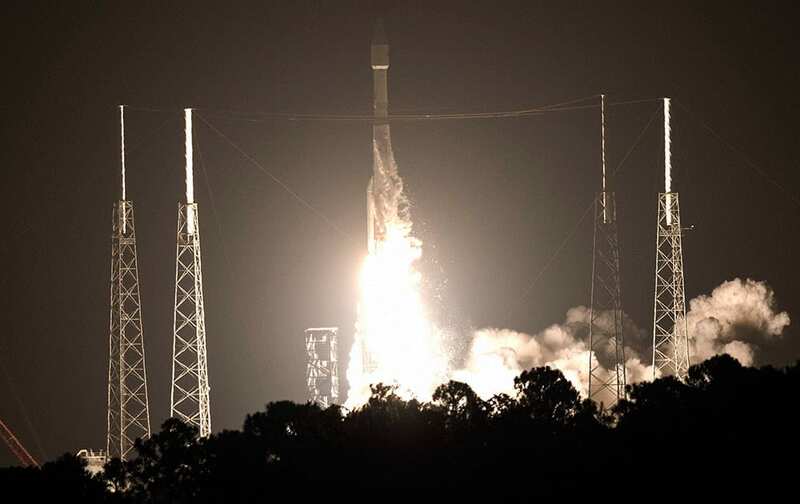 A United Launch Alliance Atlas V rocket lifts off from Cape Canaveral Air Force Station. 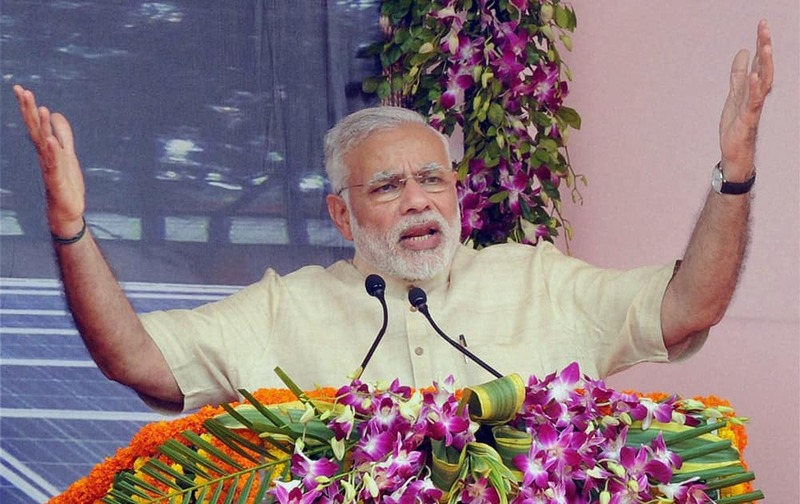 Prime Minister Narendra Modi addresses the public during inauguration of Rooftop Solar Power Plant at District Court in Khunti. 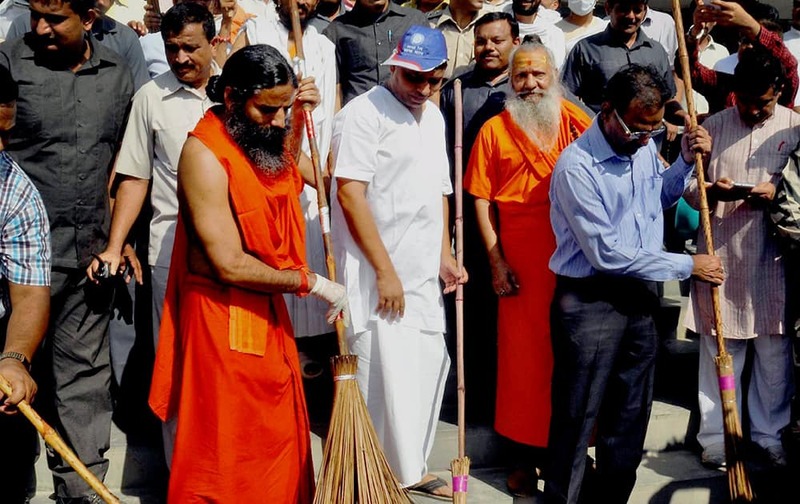 Swami Ramdev participating in Clean India Mission at Haridwar Railway Station. 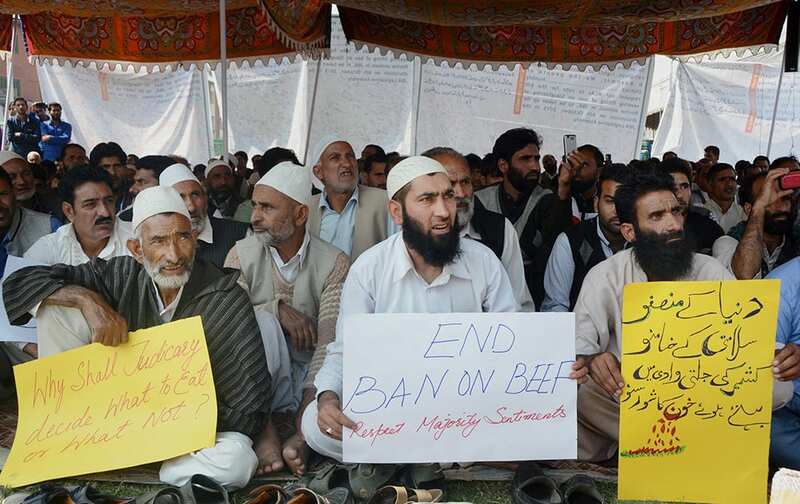 A group of people shout slogans holding placards during a protest against Beef ban by J&K High Court, in Srinagar. 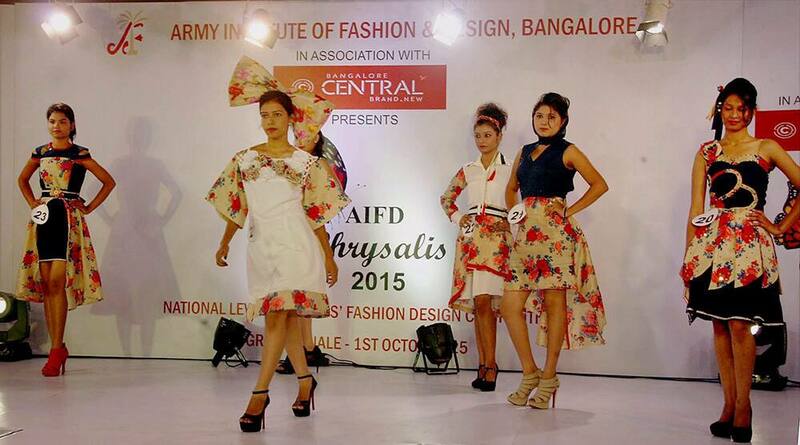 Fashion students showcase their designs at a fashion show in Bengaluru. A Thai woman seller gives traditional loincloth to tennis players Rafael Nadal, right, of Spain and Novak Djokovic of Serbia as they visit a fair outside Government House in Bangkok. This image released by NASA on Thursday, shows Charon, in enhanced color captured by NASA's New Horizons spacecraft just before closest approach. 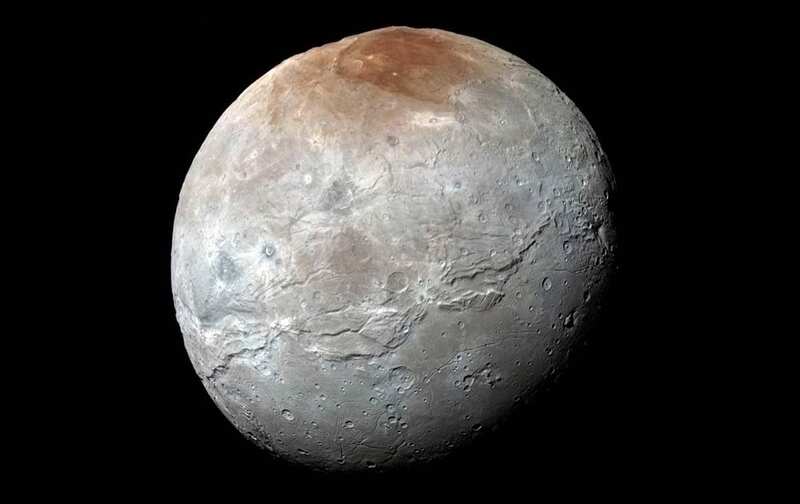 Massive canyons and fractures are clearly visible on Charon, which is more than half of Pluto’s size. 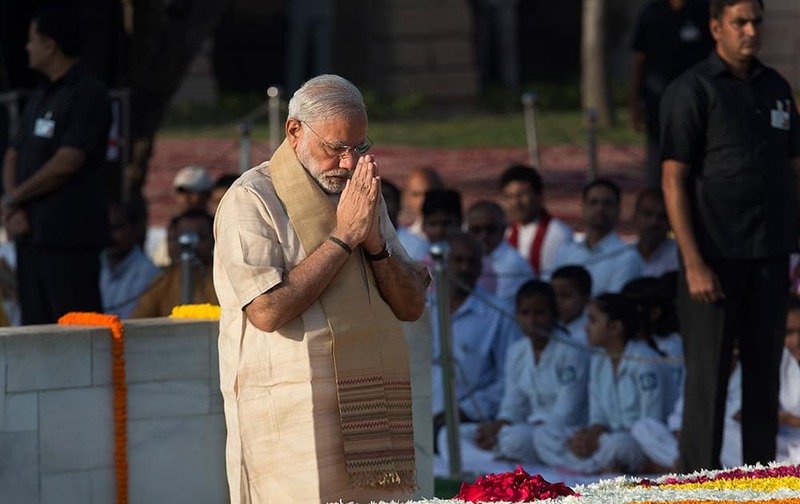 Prime Minister Narendra Modi pays tributes at the memorial of Mahatma Gandhi on the occasion of his birth anniversary, in New Delhi. 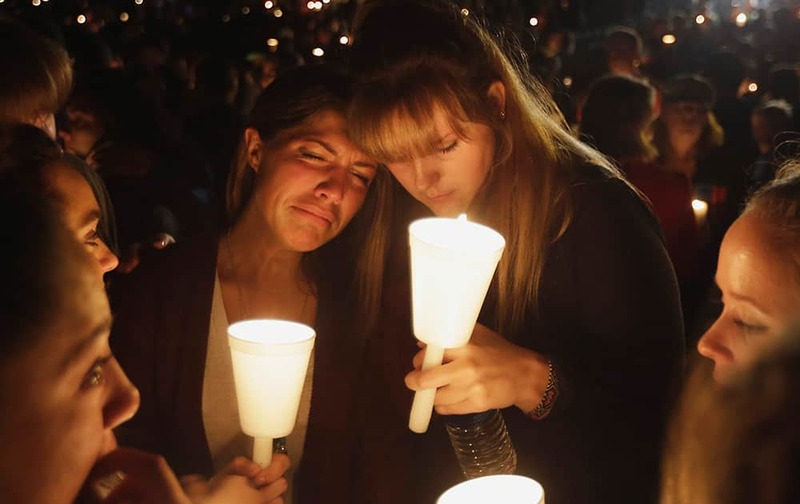 Kristen Sterner, left, and Carrissa Welding, both students of Umpqua Community College, embrace each other during a candle light vigil for those killed during a fatal shooting at the college. 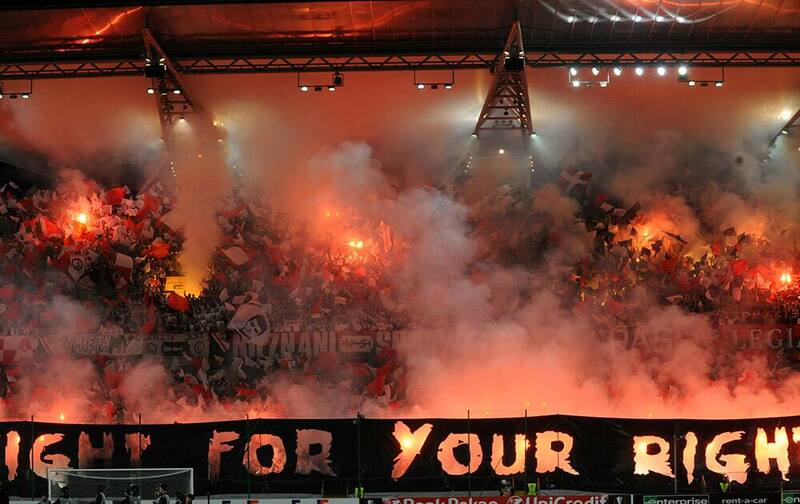 Legia Warszawa soccer fans burn flares prior to the Europa League group D soccer match between Legia Warszawa and SSC Napoli in Warsaw, Poland. 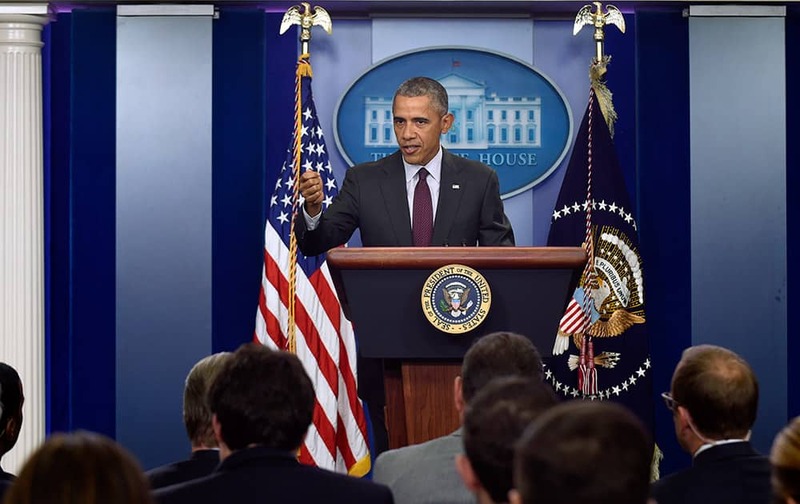 President Barack Obama speaks in the Brady Press Briefing Room at the White House in Washington. 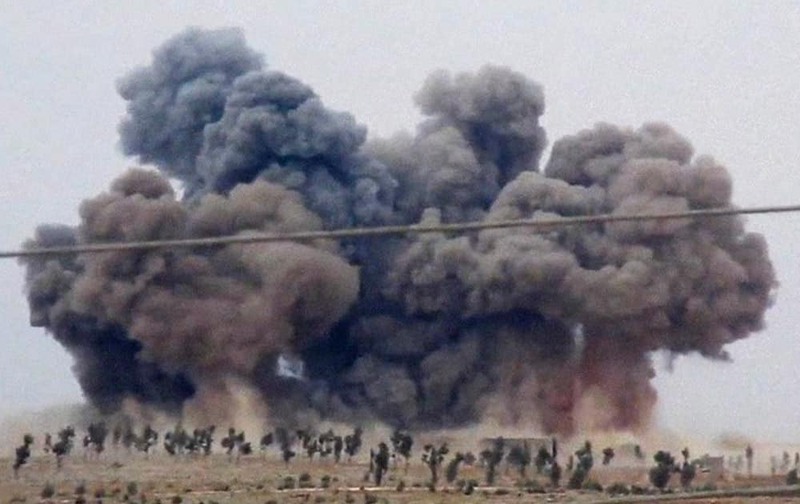 This image made from video provided by Hadi Al-Abdallah, which has been verified and is consistent with other AP reporting, smoke rises after airstrikes in Kafr Nabel of the Idlib province, western Syria. 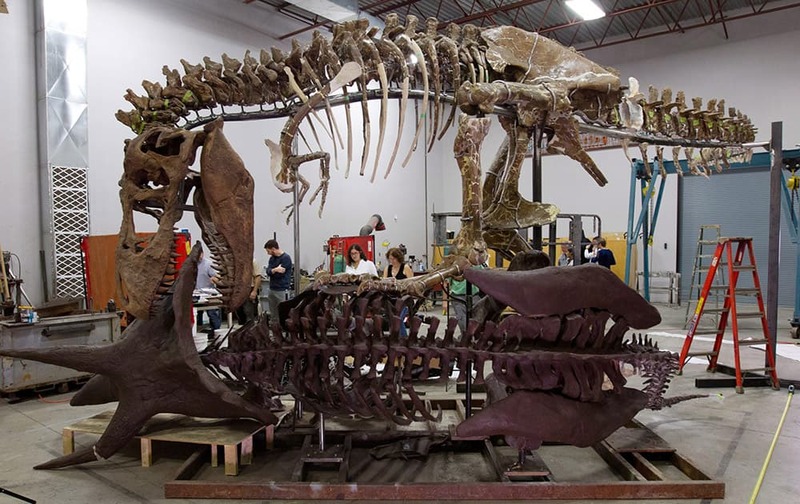 Pauline Dolovich, from Reich+Petch Design International and Siobhan Starrs, center right, from the Smithsonian work on the fossil at Research Casting International in Trenton, Ontario, Canada.